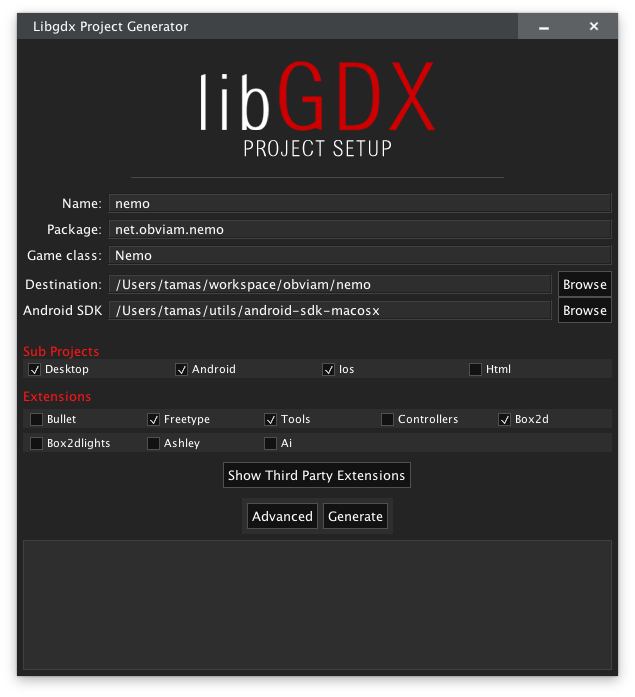 I will be using the standard libGdx setup as recommended and described in the wiki https://github.com/libgdx/libgdx/wiki/Project-Setup-Gradle, with Gradle as my build tool and IntelliJ as my IDE. I will call my project Nemo, because it has no name and that’s what “nemo” is in Latin (none, no one, nobody, no name). We will see where we go with it. Once the project is created, import it into your IDE. 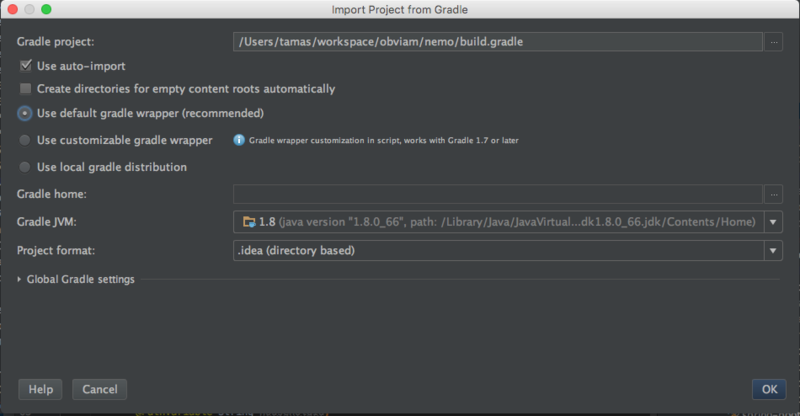 Usually importing/opening the build.gradle file from the root project root. Change the gdxVersion to the latest, currently this is 1.8.0. Also make sure that your IDE is ready for Kotlin. Note: To upgrade the plugin to a more recent version of Kotlin, the only way I managed to do it, is to uninstall the plugin and re-add it. 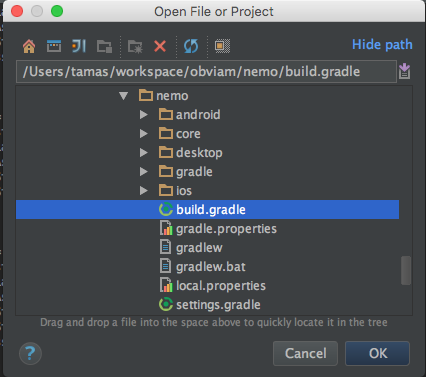 Because we are using Gradle as our build tool, we need to configure it to use the kotlin plugin to build the project. To do this, the kotlin-gradle plugin dependency needs to be added to the buildscript method found in the main build.gralde file. to the buildscript dependencies in the main build.gradle file. In order to target the JVM, the Kotlin plugin needs to be applied. to the “core” project, because we are going to use Kotlin just in the “core”. The Kotlin standard library also needs to be added to the core dependencies. Note: kotlinVersion is defined at the project level in allProjects.ext. For the latest version please consult the Kotlin website. Kotlin can be mixed with Java, and because the plan is to use only Kotlin, we won’t extract the Kotlin sources into different directories, instead we will gradually convert the current Java ones to Kotlin. Luckily we have only one class to convert. We can do it in a few ways. If you are using IntelliJ, the easiest way is to select the class, from the Tools menu, and select Convert Java file to Kotlin file. There are other ways too, for instance create an empty file with the .kt extension, copy the content of the Java file and paste it into the new .kt file. IntelliJ will prompt you to convert it. Of course, all this is possible only if the Kotlin plugin is installed and enabled. The errors refer to the 2 uninitialised class properties in the highlighted lines (10 and 11). This marks the properties for late initialisation and any access to the properties before they’ve been initialised, will be signalled by a special exception. 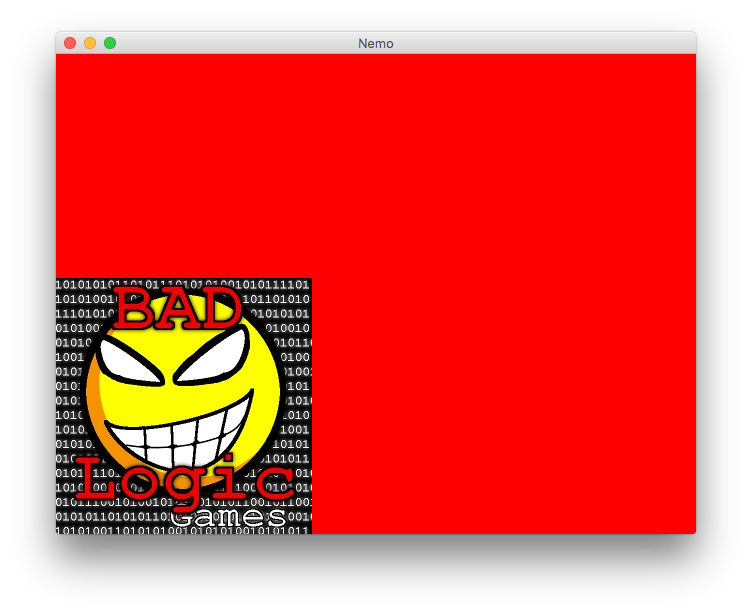 That’s it, we have our Kotlin libGdx project. We can build it and run it the usual way. The very familiar bootstrap screen should show up. Next we will explore some common tasks in game development and how those can be achieved with Kotlin.